What better way to start our series of supplier focused blog posts than with one of our favourite duos! Back in February, ahead of our open weekend, we held a shoot featuring florals by the wonderful Helen at Bels Flowers which was captured by the amazing Katy Melling Photography. The first area to be shot was our White Room, which was set up for a civil ceremony. The beauty of the White Room is that is breathtaking at its minimal best but can also serve as a blank canvas to be dressed with as much greenery, colours and decoration as you desire. Helen showed that less is more when styling this shoot, using simple greenery and glass candle holders to bring a little something extra to the room with fern wall rings and a central hanging arrangement. 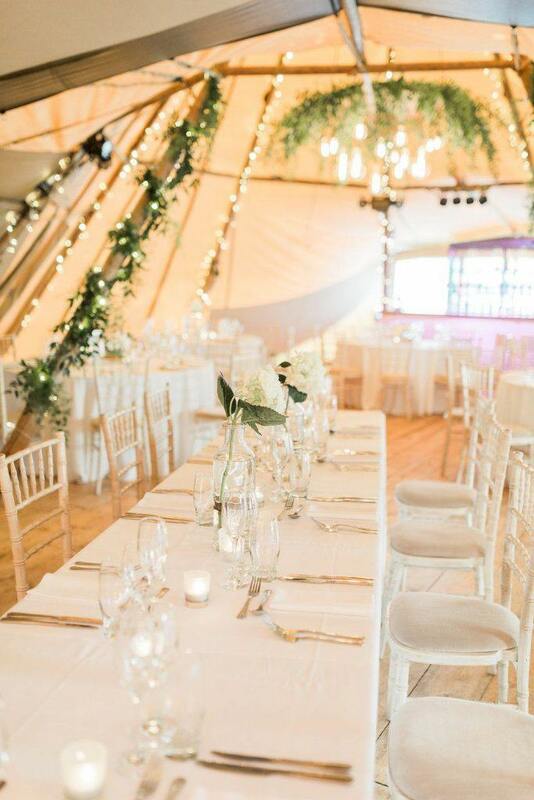 All of the above images were captured by Katy Melling whose expertise in the use of natural light and thoughtful composition captured the White Room and Tipis perfectly. Katy has shot at Brinkburn many times and has over ten years of experience in fine art wedding photography. Visit http://katymelling.com/ to view more or you can contact Katy via her website or email info@katymelling.com to discuss your own wedding. Helen owns and manages Bels Flowers with her own team of experienced florists and has styled Brinkburn for weddings and photoshoots, creating beautiful arrangements in the Priory, Tipis and White Room. To see more of Helen & Bels Flowers work you can visit https://www.belsflowers.co.uk/ or contact via email info@belsflowers.co.uk or phone 07976 245 853 to discuss your own wedding.